If each season had a personality, autumn’s would be extroverted, smart and vibrant. After all, it’s the setting for some of the best and most brilliant cultural events of each year. The art world comes out of its long summer of rest, opening the doors to rule-bending gallery and museum shows that bring out the intellectual crowd and Instagrammers alike. In this season of plenty, prioritization is the key to success. Fortunately for you, we picked out our top five shows opening this fall, perfectly tuned for buzzed brains or sober states alike. Zoe Leonard operates primarily in the media of photography and sculpture, and she applies subtle shifts in perspective, scale, and timing to otherwise repetitive images and motifs. The effect: beautiful, mesmerizing visual creations that inspire viewers to question their relationships with everyday objects and concepts. Credit: Galerie Gisela Capitain, Cologne. Photo: Bill Jacobson, New York. 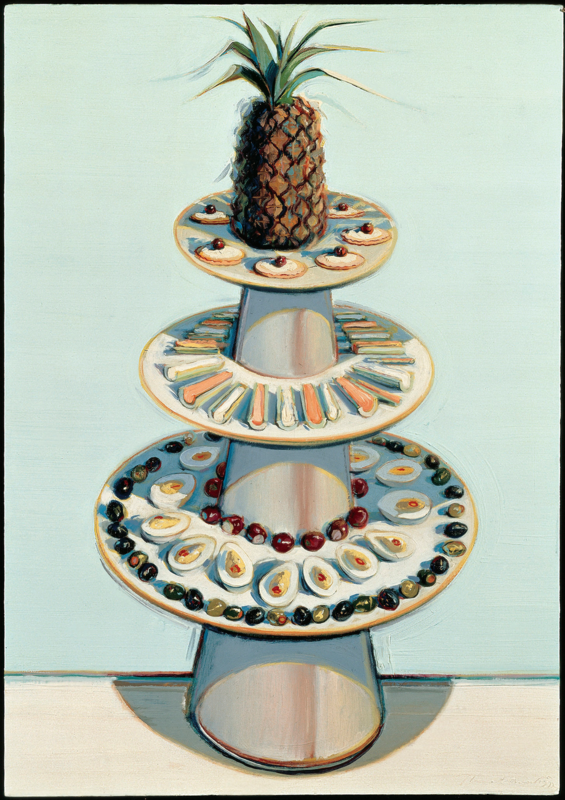 Wayne Thiebaud is a (perhaps the) quintessentially San Franciscan artist, known for his nostalgic, brightly colored mid-century paintings of bakery displays and sunlit San Francisco hills. This SFMOMA exhibition is comprised of two parts: one showing off a range of his drafts and paintings, the other displaying works from the museum’s permanent collection selected by Thiebaud himself but created by artists like Henri Matisse and Richard Diebenkorn. Your [buzzed] brain will be fascinated, whether by masterfully painted confections or the works that inspired one of the city’s most iconic artists. 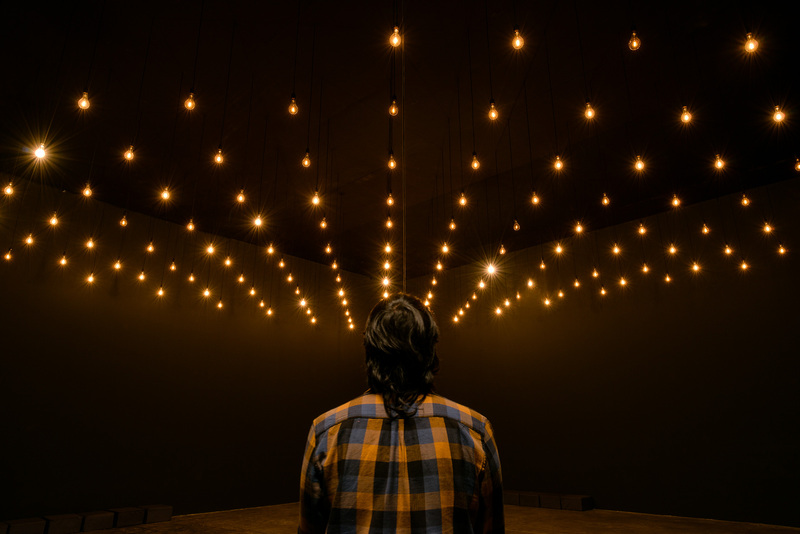 Rafael Lozano-Hemmer: Pulse at The Hirshhorn, Washington, D.C.
Lozano-Hemmer’s approach to art could hardly be more fitting for our times. Combining visual art, design and technology, his work captures biometric data from visitors and uses it to create the visual effects in his responsive, immersive installations. The show at the Hirshhorn consists of three rooms where participants’ biometric signatures are transformed into visualizations using flashing lights, ripples in water tanks, and massive projections. A hi-tech and hi-art experience, if ever there was one. Mary Corse was one of the only women associated with the Light and Space Movement of the 1960s, which explored the ways that light could be used as the subject and material for creating art. While peers like Robert Irwin often moved on from painting to sculpture, Corse remained true to painting, making her body of work a deep and fascinating study of light and its ability to transform two-dimensional surfaces. Destruction and decay over time aren’t generally light subjects, but Urs Fischer injects levity into his work through playfulness and wit. The artist uses everyday, often perishable materials to construct large-scale sculptures with an expiration date, and he uses sumptuous, sturdy materials like bronze in the shape of ephemeral clouds. Previous PostWhat Do Millennials Want from Their Jobs, and Should They Explore Careers in the Cannabis Industry?